On of those quite nights at the club in the lull between Xmas and the New Year. So Craig brought some boardgames along and the winner was Formule De, in it's Formula D incarnation. Two one lap races with seven drivers and plenty of wreckage. 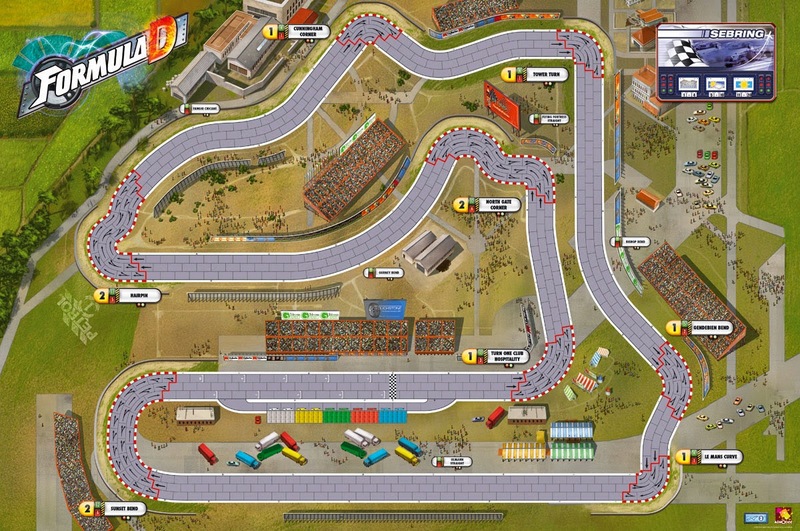 Both races on proper tracks and helmeted drivers rather than the chavy street racing option. 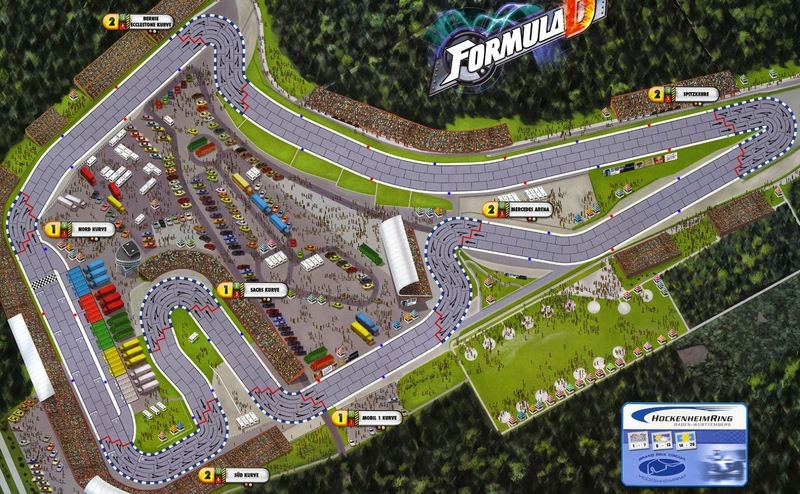 First circuit was Hockenheim. Managed to finish 3rd but well off the leaders pace. It was only a few spins and crashes amongst the leaders that saw me finish that high. We then moved onto Sebring. I managed to get a flying start but that didn't help much initially. A few bumps and scrapes around the first few bends would have made things difficult if it had been a multi-lap race as wreckage was strewn across the track. Unlike the last race I kept in touch with the leaders, and even had the lead on a couple of occasions, but a couple of missed corners saw me drop back. So two third place finishes, mostly due to the opposition messing up.